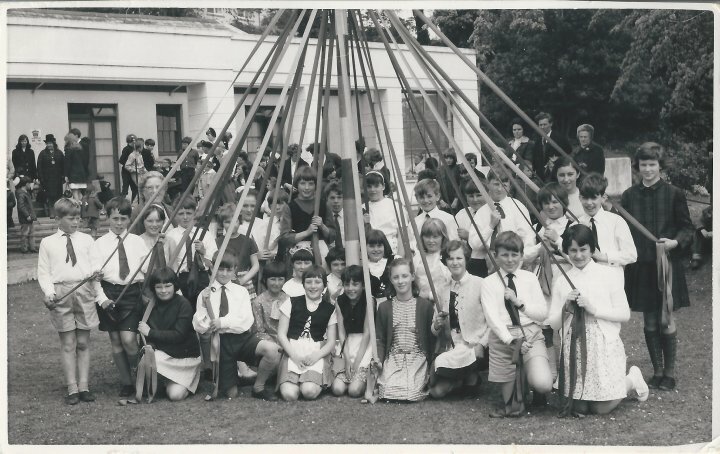 This picture shows maypole dancing during the May Queen festival held in 1968 in the grounds of Pilton House, Pilton Street. It came to the archive from Jan Cashin (formerly Huxtable) whose family came from Pilton. She's pictured slightly behind a girl fourth in from the left front row with flowers in her hair. If you can name anyone else in the picture, please contact The Pilton Story on submissions@thepiltonstory.org.